The Yankee Candle Valentines collection 'Love is in the Air' is now available on their site and offers some nice treats for any candle lover out there. 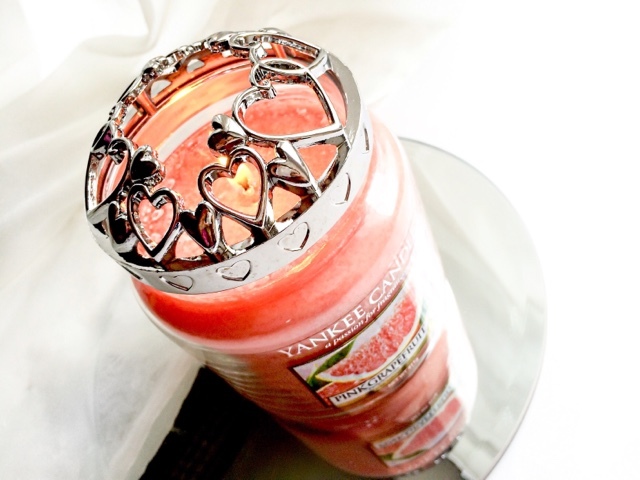 The collection see the addition of two candles - Red Raspberry and Pink Grapefruit* as well as any array of candle accessories such as this Metal Hearts Illuma-Lid*. 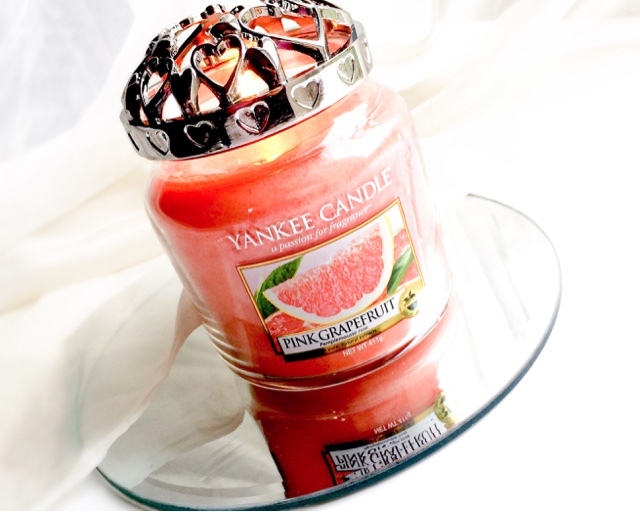 The pink grapefruit candle is ideal for this time of year. If like me you're storing away all the heavy sweet winter and Christmas scents, and opting for something fresher and more spring like, this will be right up your street! It's the perfect blend between bitter and sweet, delivering a crisp clean aroma around your home that refreshes the senses and puts a spring back in your step. It's the perfect transition scent to bring you out of the dark wintery days and into the fresh glow of early spring. The Illuma-Lid is the perfect accompaniment to any medium or large sized Yankee Candle. The metal heart cage not only looks decorative but also helps the candle burn more efficiently - buy reducing the effects of draft and dispersing the scent more evenly throughout the room. Like I said both are part of the Valentines 'Love is in the Air' collection and can make a lovely gift for that someone special. The Medium sized candles are priced at £16.99, and the Illuma-Lid's are £6.99 which come in varied styles and finishes. 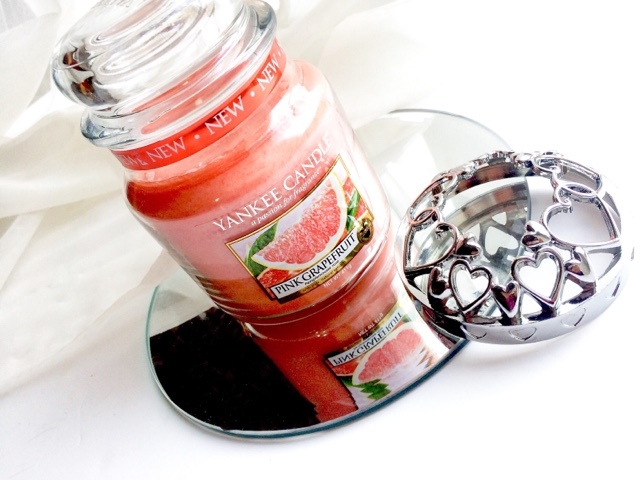 Are you a Yankee Candle lover? Will you be relighting that spark with these seasonal scents this Valentines Day? Oh i love the lid mine burn so unevenly so this might help!